Located in the Renfew/Collingwood its a little hidden but not too hard to find. 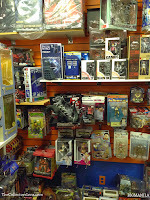 Its one of my favourite places to go for my action figures and you can find most comics and other collectibles. Here are a few pic the owner let me take. 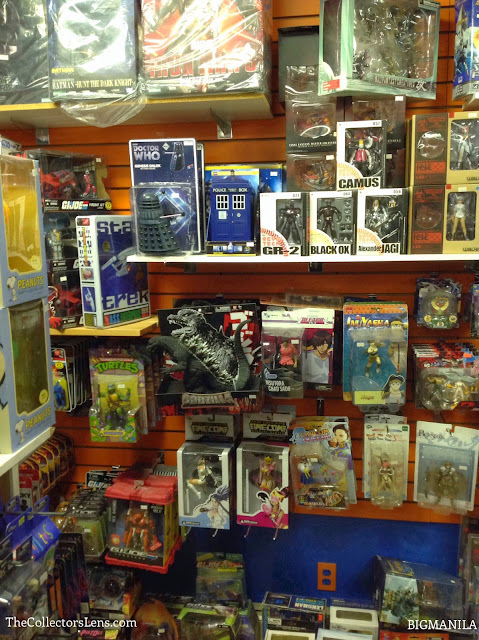 Nice Collection of Revoltech, Anime and Transformers. They have a vast assortment of figures, I mostly bought, TMNT, G.I. Joes, Transformers and they can usually order most thing you collect. They also have a discount section. I want to buy Wolverines jacket but I didn't have enough money. So I bought a TMNT shirt. I'm still trying to find a good display case for my Condo. I definitely recommend this place. The owner is cool and will chat ya up a bit if you have a few min. He knows his stuff and is a stand up guy. Plus Its usually open really late almost untill 11pm on most days. I could come in on the days I worked really late.